Top tip: Use whatever nuts and seeds you like or have to hand. Another favourite combo is pistachio and sour cherry. Break the chocolate into pieces and melt in a bain-marie. Pour onto a baking sheet lined with greaseproof paper. 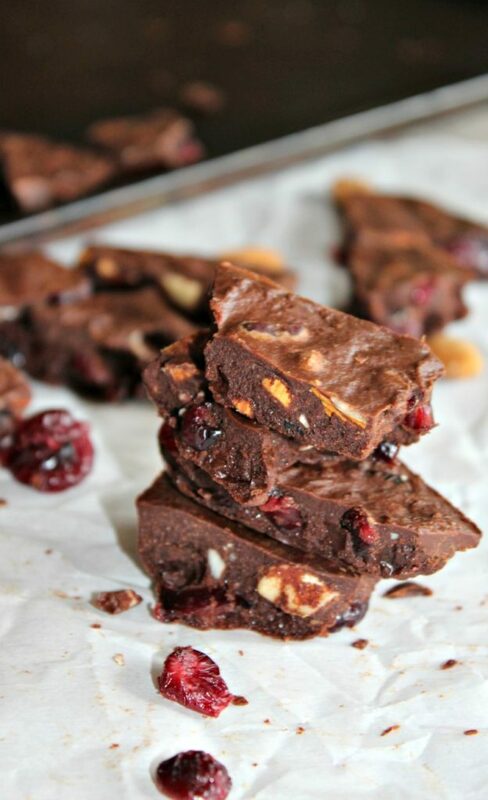 Sprinkle the almonds, cranberries and salt over the chocolate and place in the fridge. When solid, break into bite sized pieces and enjoy! Small amounts of good dark chocolate qualify as health food, providing antioxidants and minerals like magnesium. Go for the best quality you can find and savour, slowly! Are you prepared for the road this Winter?